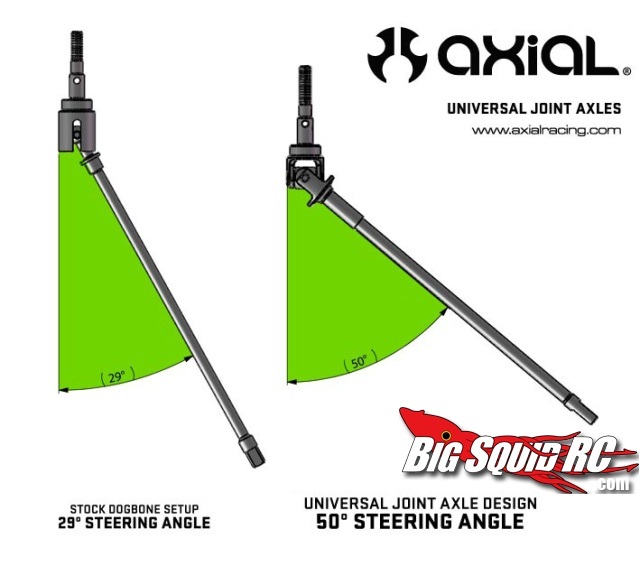 Axial Wraith Universal Axles « Big Squid RC – RC Car and Truck News, Reviews, Videos, and More! 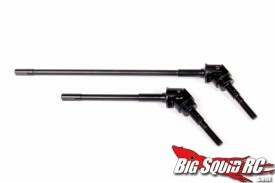 Axial now offer a set of oversized universal axles for the Wraith 4WD as an upgrade. For a RRP of $45, these hardened steel axles will increase steering angle to 50 degrees, which is 60% more than the stock setup! Keep an the Axial Website for full details in the near future.